This vegetable can be readily served without cooking to form a delicious dish. 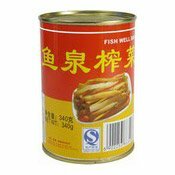 As a hot dish or soup, it may be in slices, cooked together with pork, chicken, dried shrimps etc. Ingredients: Chinese Radish (Mustard), Chilli Powder, Salt. 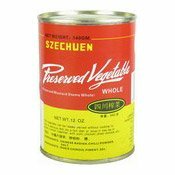 Simply enter your details below and we will send you an e-mail when “Szechuan Preserved Vegetable (Whole Mustard Stems, Sichuan) (四川榨菜)” is back in stock!